Search Engine Optimization is a viable way to get more traffic to your website through natural searches on MSN, google, and yahoo. Your goal is to get your page listed on the first page of the search engines for the terms in your niche that people are searching for. You can find big, thick books written on this topic. We don’t have that kind of time or space here, but we’ll try to give you an overview without overwhelming you. How can SEO help you get traffic? 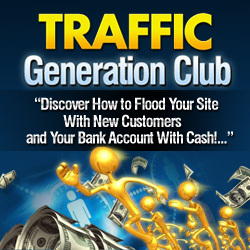 The goal with any website is to get targeted traffic. The beauty of search engine traffic is that the people who come to your site are actually looking for what you have to offer. For instance, if you go to google.com and type in “Dog Food for Poodles” – you’ll actually get results. So, if you were looking to buy “Dog Food for Poodles”, you’d likely have your credit card out and be hot, hot, hot to spend lots of money on dog food for – you guessed it – your poodle. THAT is the kind of visitor you want coming to your website. Not a poodle lover, but someone hot, hot, hot to find information or spend money on your niche. If you have an information website, the same rule applies. Assuming you want information about “Training Miniature Poodles” just go to google and type in that term and you’ll find websites that will help you teach your unruly poodle some manners. Stop and think about what your website is about. Actually, what each page of your website is about. You’ll want to set up each page of your website to be sure to let the search engines know exactly who to send you. Since this is a very simple overview of Search Engine Optimization, we’ll just cover the basics. There are two factors that determine how much traffic the search engines will send you. First is the information you have on your own website. Second is how many other websites are linking to your website. Those are the two areas you’ll want to work on in order to crawl up higher on the search engines for your niche. On your website be sure to use the keywords for your niche. If your page is about “Marathon Walking” then be sure to use the term “Marathon Walking” as your title and in the body of your article. It’s quite simple. Your offsite goals are just as easy. Work on getting other people to link to your website. You can do this by writing and submitting articles, posting comments on other people’s blogs, writing press releases or even posting on forums.